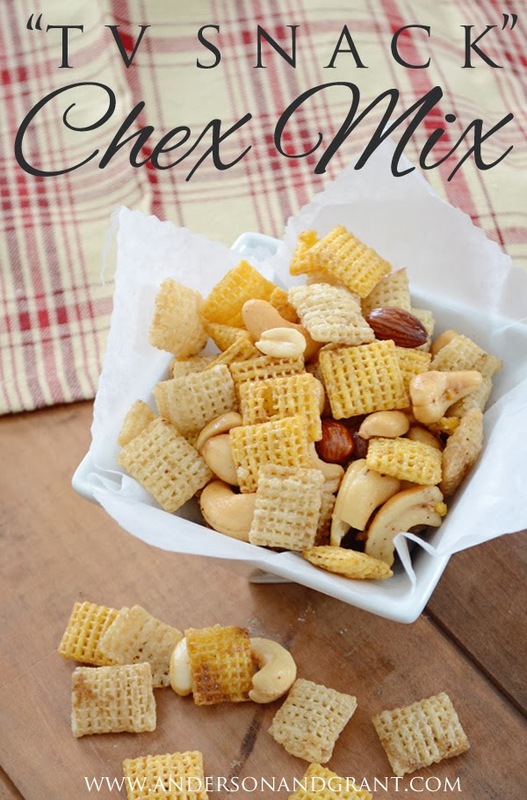 If you search the Internet, you'll find many different recipes for homemade Chex Mix and then there are many different varieties packaged by Chex. I prefer the homemade to the store bought version and prefer this recipe to all the homemade versions I've tasted. This version is actually different than any other recipes that I've seen. 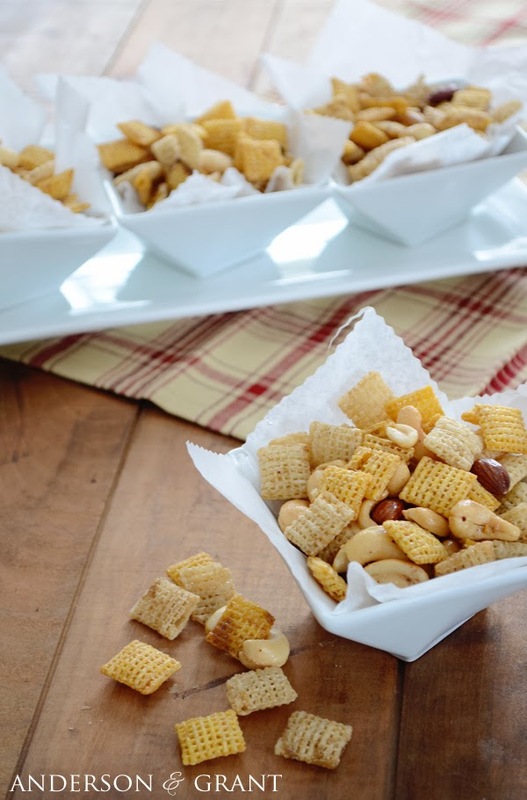 This is another recipe that my grandma always used to make and we never referred to it as Chex Mix, but instead called it "TV Snack." She made it every year at Christmas, but I think it is delicious year round. It would really be great for those upcoming Super Bowl parties you might be planning! This version is very basic without the addition of pretzels, cheerios, or bagel chips (although you can add those if you'd like). The recipe also uses canola oil rather than the traditional butter. I'm not a fan of wheat Chex, so I used a little less than a full box of both rice and corn Chex instead. 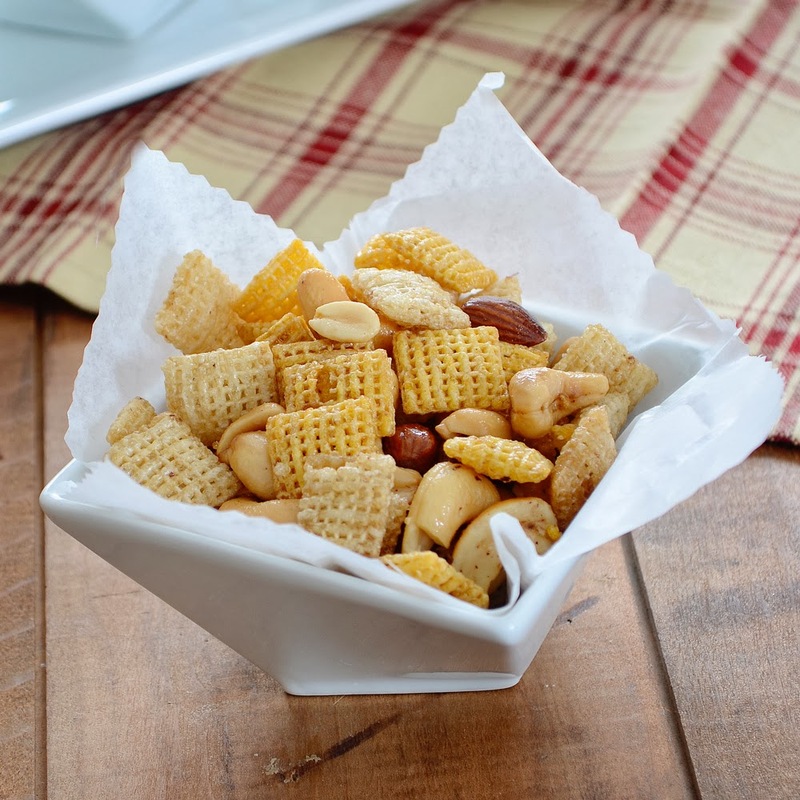 Mix the Chex cereal and mixed nuts in a Large Stainless Steel Mixing Bowl or a very large pan. Whatever you use, it has to be something that you can put into the oven. A lot of recipes say that the cereal should be spread out on baking pans to dry it out, but I've never had a problem cooking the cereal in the bowl. Combine the remaining ingredients to make a sauce. 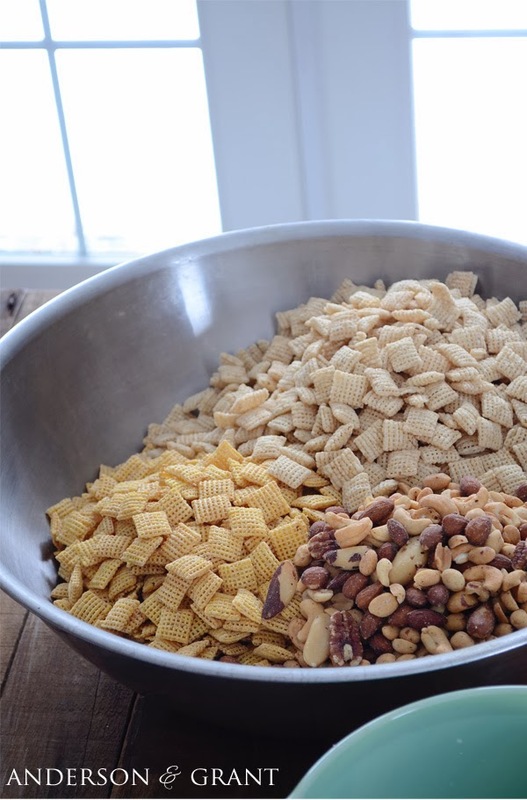 Pour the sauce over the cereal and nuts and toss with your hands to mix everything together. 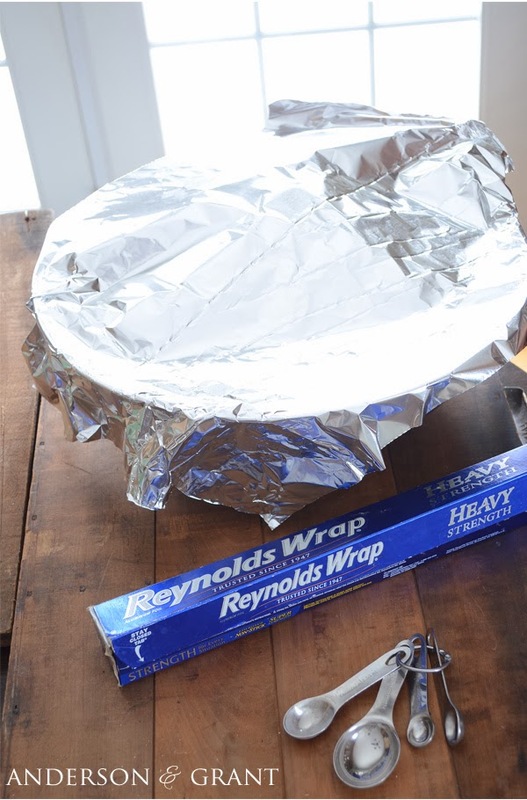 Cover the pan with foil and bake in a 200 degree oven for one hour. Remove the foil, toss the cereal and nuts around in the bowl a bit, and then bake for another hour uncovered. 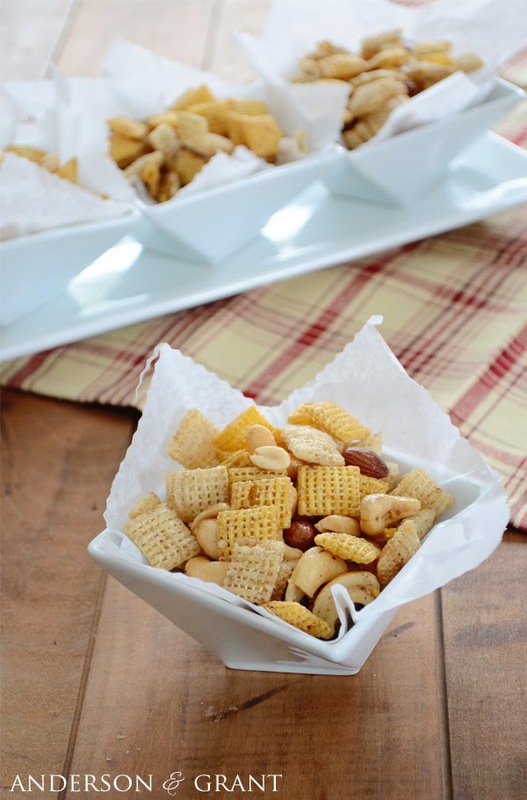 Hope you enjoy this version of Chex Mix as much as I do! 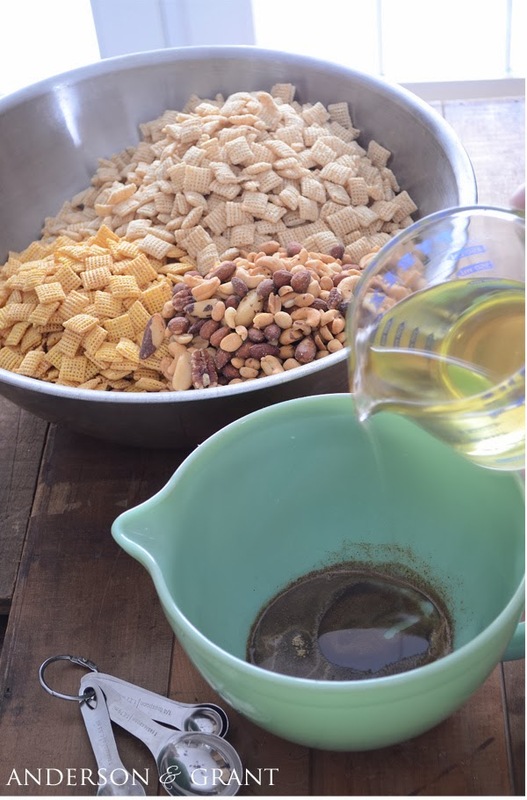 Do you have your own version of homemade Chex Mix or do you prefer the store bought variety?